• Clean Soundscape 45mm drivers provide a detailed audio experience at high, low and mid tones. • A Perfect Pair The speaker pairs easily with tablet, smartphone and A2DP Bluetooth-enabled devices. • Communication Range Up to 10 meter of transmission range give user more freedom. • Rechargeable Battery Built-in rechargeable battery provides up to 5 hours music playback on a single charge. • Convenience Controls Let you control the volume +/-, play/pause, switch tracks and answer calls. • Compact Design Ultra-portable compact size provides maximum portability & allows for convenient storage. • Silicone Strap Exchangeable silicone strap let you personalize colour of your Bluetooth speaker. • Built-in Microphone Invisible microphone with high-performance sound quality for clear conversations. 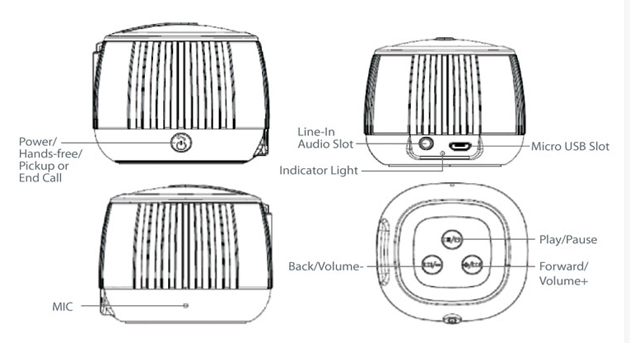 • 3.5 mm Audio Input Equipped with a 3.5mm audio slot for non-Bluetooth devices. CLiPtec Portable Bluetooth Speaker PBS242 'Colour-Wave' is the best pocket size sound-box to enjoy your tunes anytime, anywhere. 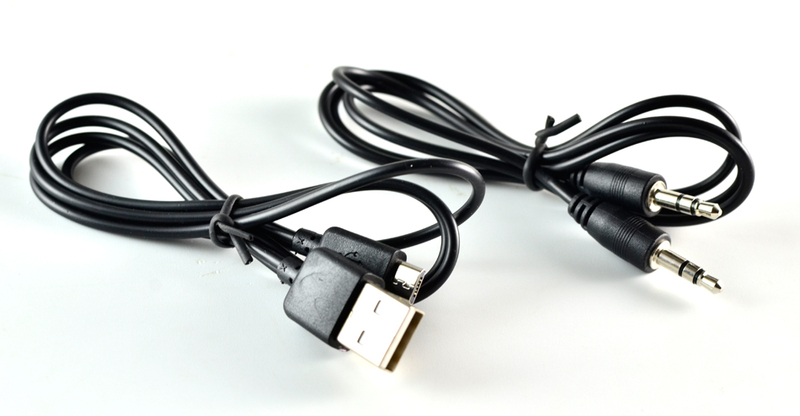 Easily connect to any Bluetooth-enabled device, or just plug into the 3.5mm audio jack to start playing your media. We kept the controls simple too, either use the 4 built-in buttons or simply your smart device's own controls-a touch of the finger is all it takes. 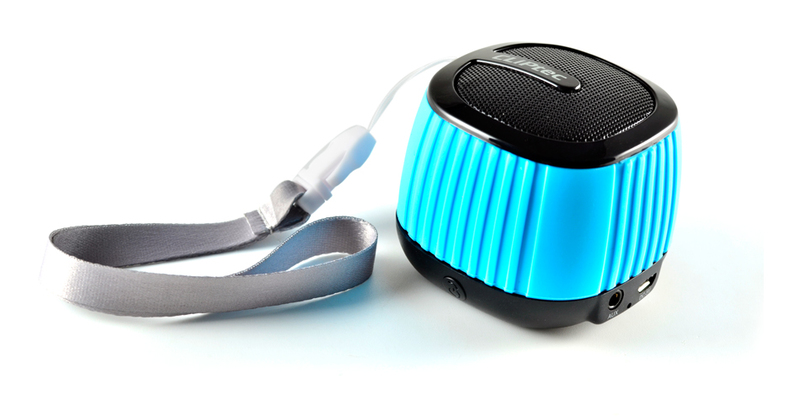 You can exchange the extra 2 silicone straps (Grey/Blue/red) to let you personalize colour of your Bluetooth speaker. Bluetooth 3.0 technology ensures a wireless connection as flawless. 45mm drivers provide a detailed audio experience at high, low and mid tones. 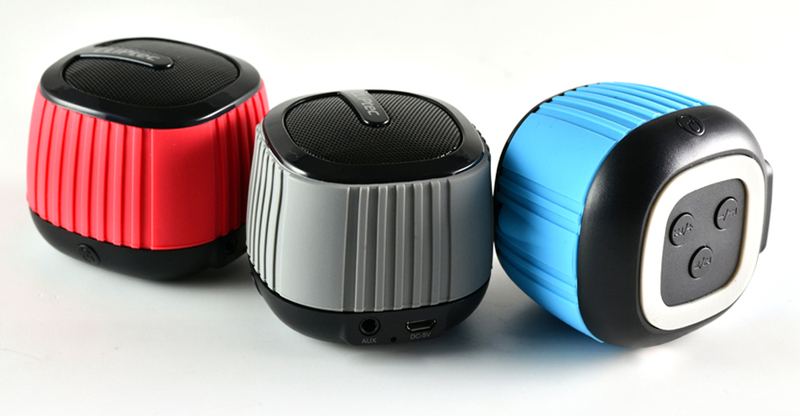 The speaker pairs easily with tablet, smartphone and A2DP Bluetooth-enabled devices. Up to 10 meter of transmission range give user more freedom. Built-in rechargeable battery provides up to 5 hours music playback on a single charge. Let you control the volume +/-, play/pause, switch tracks and answer calls. Ultra-portable compact size provides maximum portability & allows for convenient storage. 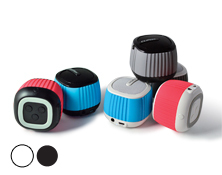 Exchangeable silicone strap let you personalize colour of your Bluetooth speaker. Invisible microphone with high-performance sound quality for clear conversations. Equipped with a 3.5mm audio slot for non-Bluetooth devices.